Until just a few months ago, I’d never seen a 1920s Sears Hillrose in real life. And then in August 2015, I had the delightful opportunity to visit a stunning Hillrose in Brandy Station, Virginia. Shortly after I wrote that blog, Greg Decker and Carrie Milam (from our Sears Homes Facebook group) discovered a Hillrose in Griffith, Indiana, and took a plethora of first-class photos! 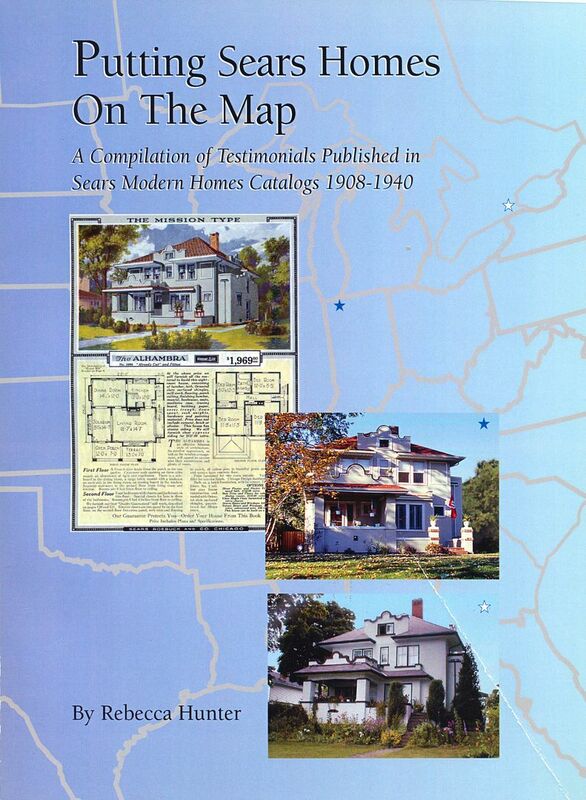 Next, Rachel Shoemaker had the presence of mind to check Rebecca Hunter’s wonderful book, “Putting Sears Homes on the Map,” and found two more of this very same model in Convoy, Ohio and nearby Antwerp, Ohio. Fuzzy online images of the Sears Hillrose in Convoy really piqued my interest: It appeared to be in mostly original condition. 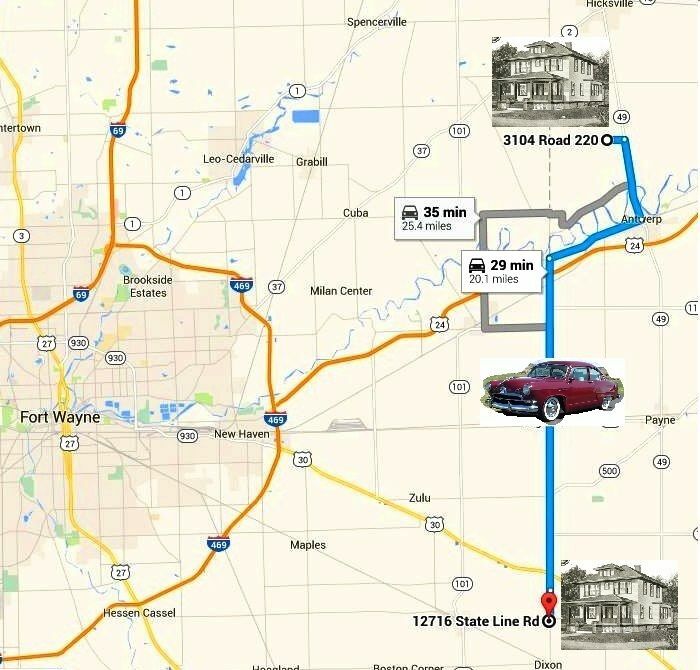 Next, I contacted the County Economic Development Officer in nearby Van Wert, Ohio, who forwarded my email to Adam Ries, with Main Street Van Wert Inc., who contacted Larry Webb at the Van Wert County Historical Society. Mr Webb was kind enough to run out to the house in Convoy and photograph the house from several angles. Now if I could just get some photos of that Hillrose in Antwerp! 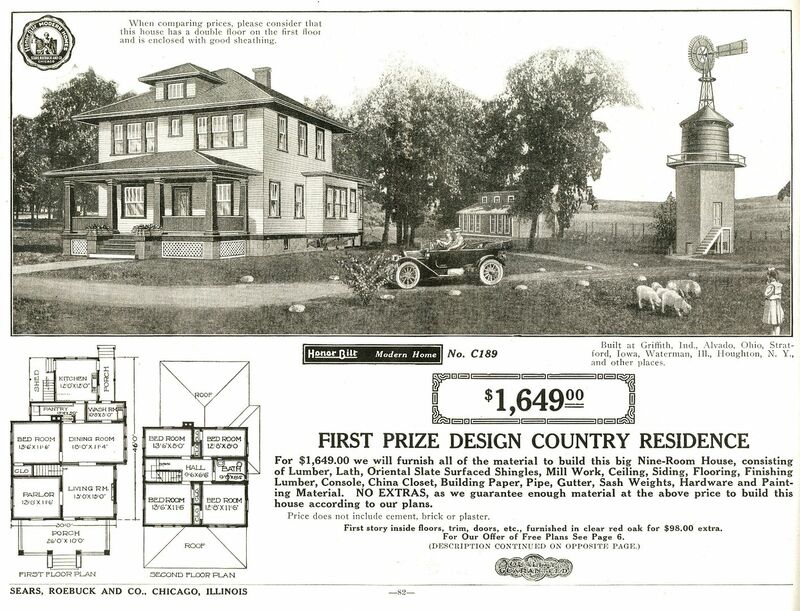 When the Hillrose was first offered, it was known as a “prize winner.” Read more about that here. Thanks again to Larry Webb for these wonderful photos. 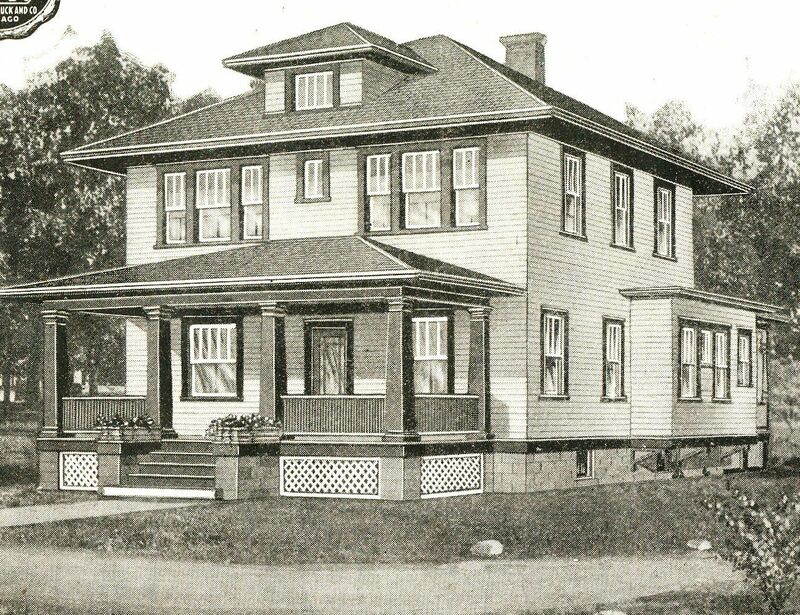 The Hillrose, as seen in the 1916 Modern Homes catalog. As you can see from these floor plans, it was an unusually spacious house. 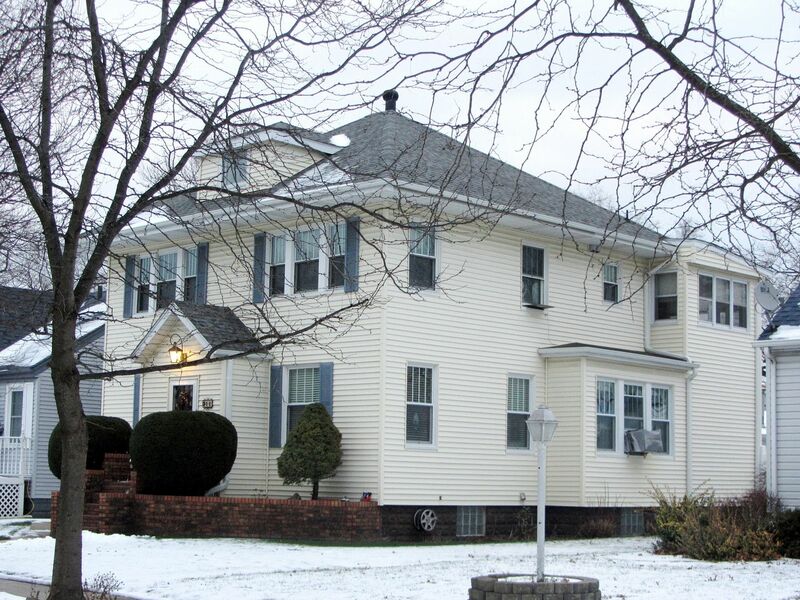 It's a house with several distinctive features, such as that slender window in the upstairs closet, the large squared bay at the rear and the off-center front door. The spacious porch with the flared columns is also eye-catching, but sometimes, porches get dramatically altered through the years. Now that's a fine-looking house. 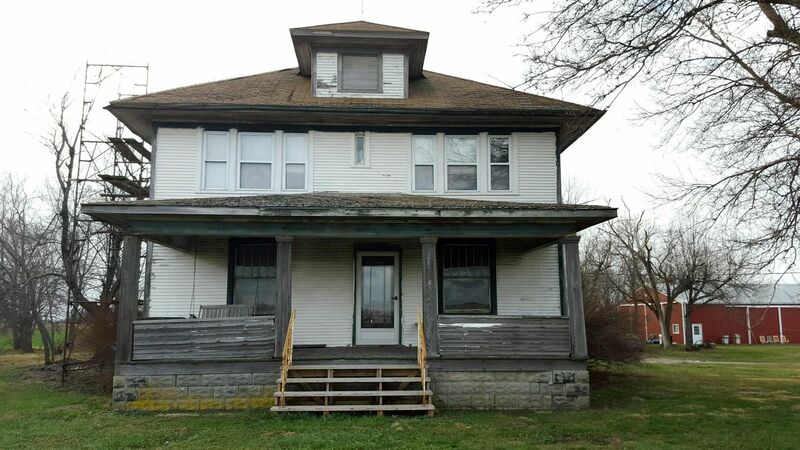 It's so rare to find these 100-year-old houses in original condition. 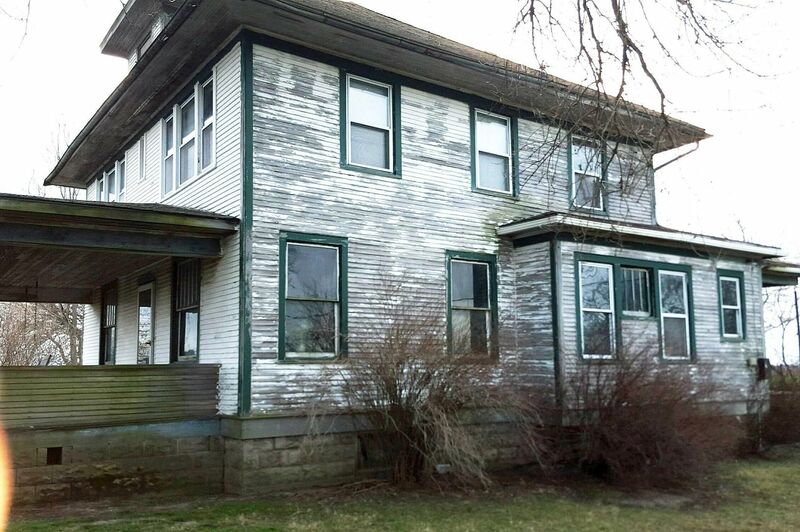 Yes, the house needs a little sprucing up, but it's a rarity and a real gem in a world filled with HGVT-crazed homeowners. Many thanks to Larry Webb at the Van Wert County Historical Society for providing these photos. My goodness, what a house. Once you see a house "in the flesh," it becomes infinitely easier to identify other models out in the world. Photo is copyright 2016 Larry Webb and may not be used or reproduced without written permission. 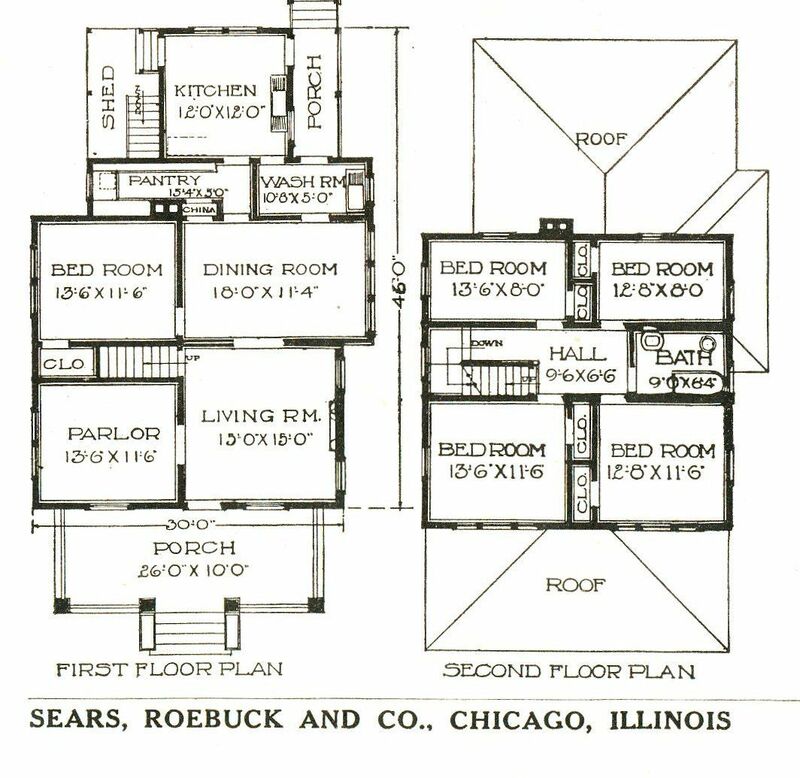 These Sears Homes had cypress clapboards and window trim. 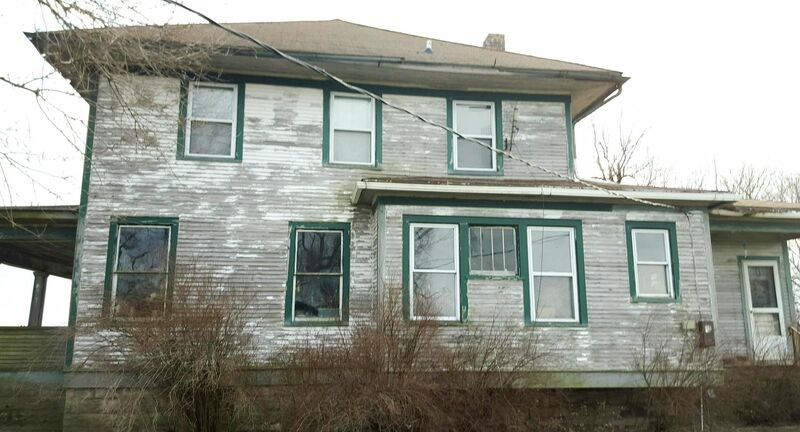 Even without paint, this siding will endure for many years. 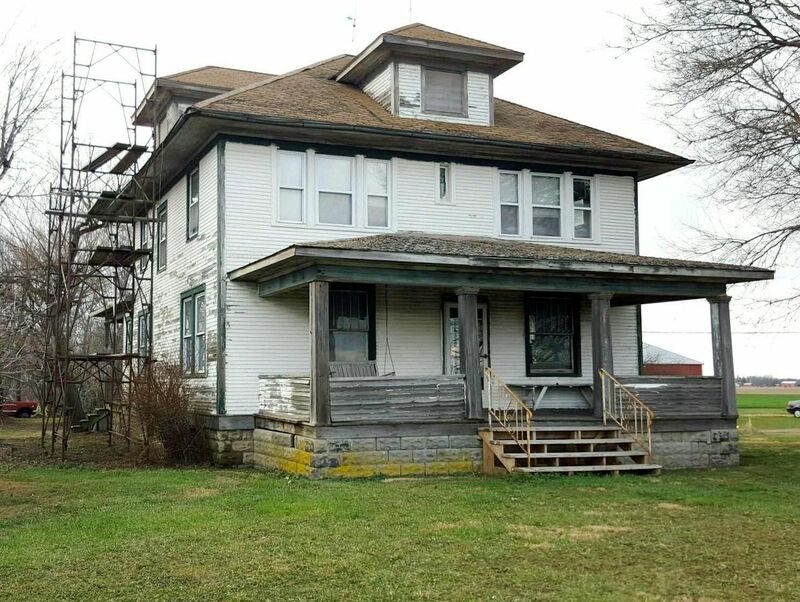 However, it appears that the current owners are painting this classic old foursquare. Photo is copyright 2016 Larry Webb and may not be used or reproduced without written permission. What a glorious find on a road that literally straddles Indiana and Ohio. And quite a testament to old-fashioned paint, that would hang on through the decades! Photo is copyright 2016 Larry Webb and may not be used or reproduced without written permission. Mr. Webb had the presence of mind to photograph this home from the rear! 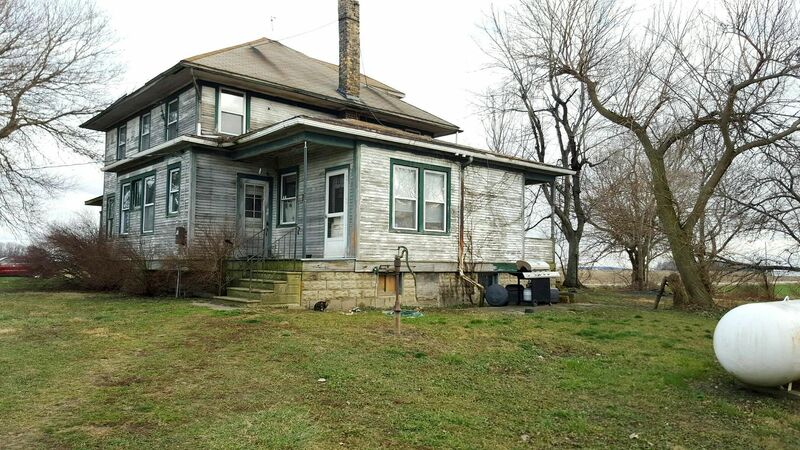 This angle shows (again) how delightfully original this Hillrose is, with an original wooden storm door on the back porch. Photo is copyright 2016 Larry Webb and may not be used or reproduced without written permission. If you compare the floor plan to the Hillrose, you'll see how delightfully original this old kit house truly is. Photo is copyright 2016 Larry Webb and may not be used or reproduced without written permission. And if you look really close, you'll see another relic of a bygone era: A cistern. 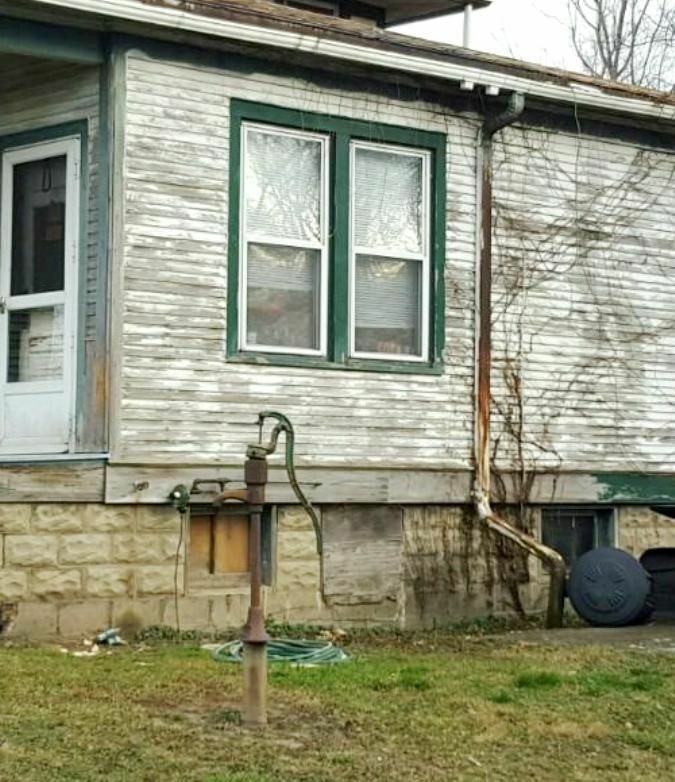 See how the rounded downspout disappears into the ground, and the concrete pad on top of that area? Odds are good that this was an underground cistern (typically lined with brick) and this water was used for washing clothes, as it was the softest water imaginable. The beautiful old hand pump in the foreground may have been piped into that cistern. Photo is copyright 2016 Larry Webb and may not be used or reproduced without written permission. Thanks to Rebecca Hunter's well-researched book, Rachel was able to locate those two Hillroses in Ohio! This is a wonderful book and I highly recommend it. Here's the Hillrose that Carrie Milam and Greg Decker found in Griffith, Indiana. Sadly, the front porch is MIA. Photo is copyright 2015 Greg Decker and may not be used or reproduced without written permission. Read about the Hillrose in Brandy Station here.